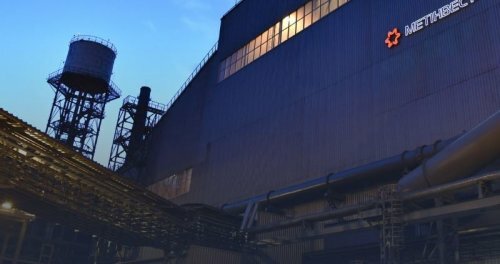 Metinvest B.V., the parent company of a vertically integrated group of steel and mining companies Metinvest (jointly referred to as “Metinvest” or “the Group”), has released its audited IFRS consolidated financial statements for the 12 months ended 31 December 2018. Acquired a 24.99% stake in the Pokrovske coal business, Ukraine’s largest coking coal operation, for US$190 mn to secure long-term supplies of high-quality coal in close proximity to the Group’s coke facilities. Acquired 23.71% in Yuzhcoke, a Ukrainian metallurgical coke producer, for US$30 mn to secure Metinvest’s long-term coke self-sufficiency. Acquired 100% in Unisteel, which owns a galvanising line with production capacity of up to 100 kt/y. Launched the new continuous casting machine (CCM) no. 4 at Ilyich Steel, with a slab casting design capacity of 2.5 mt/y. Launched the first-phase facility of the sinter plant gas cleaning system at Ilyich Steel. Successfully refinanced US$2,271 mn of its debt, issuing two tranches of bonds and amending and restating its pre-export finance (PXF) facility. As a result, Metinvest issued US$1,592 mn in new bonds and secured US$765 mn in the PXF facility. New incremental proceeds from the combined transaction amounted to around US$205 mn. Repaid US$237 mn under the amended and restated PXF facility using new proceeds from the refinancing and own cash flows, reducing the principal outstanding to US$528 mn and easing certain PXF agreement restrictions (including regarding some restricted payments). Repaid shareholder loans, under which the principal outstanding was US$369 mn. Secured a seven-year repayment buyer credit facility of some EUR43.2 mn for the construction of CCM no. 4 at Ilyich Steel. The facility is covered by an Austrian export guarantee issued by Oesterreichische Kontrollbank Aktiengesellschaft (OeKB), while Raiffeisen Bank International AG acted as the sole lender. Secured credit ratings from key international rating agencies: B (outlook ‘positive’) from Fitch, B- (outlook ‘positive’) from S&P and B3 (outlook ‘stable’) from Moody’s. «In 2018, Metinvest delivered some of its best results in the last four years, proving that it has indeed turned a corner through proactive operational, strategic and financial management. The operational results were decent: production rose by 3% year-on-year for hot metal, was largely unchanged for crude steel and iron ore concentrate, jumped by 11% for coke and climbed by 9% for coal. Amid this, the Group reinvigorated its CAPEX programme in the year, spending nearly US$900 million to modernise and catch up on deferred maintenance of assets in the largest such outlay since 2011. Metinvest’s Technological Strategy 2030, which serves as a roadmap to guide the Group in fulfilling its strategic priorities, aims to strengthen core production processes to lay a solid foundation for future upgrades to downstream facilities. At the Mariupol steelmakers, among others, the main achievement was the construction of continuous casting machine no. 4 at Ilyich Steel, which was completed without major delays and on budget. The machine has eliminated casting bottlenecks and effectively expanded the plant’s annual crude steel production capacity by around 40% to 4.3 million tonnes. Importantly, around one third of the project cost was financed using long-term funding guaranteed by the Austrian export credit agency. At the iron ore producers, Metinvest is conducting an extensive heavy truck fleet upgrade to improve output volumes and production efficiency. At Northern GOK and Central GOK, pelletising machines are undergoing large-scale maintenance to allow the Group to further capitalise on strong pellet premiums. Metinvest remains committed to securing its long-term future. To this end, in 2018, the Group acquired minority stakes in two assets that are an ideal fit for the business model and will help to strengthen vertical integration and improve resilience to economic cycles. The stakes of 24.99% in the Pokrovske coal business and 23.71% in Yuzhcoke will secure long-term supplies of high-quality Ukrainian coking coal and coke to improve Metinvest’s self-sufficiency in these key inputs. Underpinned by favourable steel and iron ore prices and ongoing economic growth in Ukraine, the Group delivered its strongest financial results in 2018. Revenues soared by 33% year-on-year due to an enhanced focus on priority markets, while EBITDA rose by 23% year-on year, with both the steel and mining segments contributing equally. Free cash flow generation for the reporting period reached US$673 million, up nearly five-fold year-on-year, driven by the robust EBITDA and dividends from a mining joint venture. After successfully refinancing its bonds and pre-export facility, Metinvest has normalised its debt portfolio to achieve a sustainable maturity profile, improving the investment case as a result. These achievements received official acclaim when the transaction won the Emerging EMEA Bond of 2018 nomination in the International Financing Review annual awards. In 2019, global iron ore and steel prices are an ongoing source of uncertainty. Trade tensions and concerns about a potential global economic slowdown are creating price pressure. This year will also bring presidential and parliamentary elections in Ukraine, which could cause some turbulence. At the same time, Metinvest will continue to prioritise improving operational performance and implementing the long-term upgrade programme; emphasising health and safety, of both staff and contractors; and reducing environmental impact. I would like to thank our clients, investors, creditors, employees and other stakeholders for their support during 2018».